It is the wish of every aspiring road contractor to have their own road milling machine and start off making money. But be very careful while jump in. One of the mistakes that newbies makes is not taking precautions while going to the market. The lack information on what they are looking for. For you to choose the right road milling machine for sale, you need to base that decision something. That is what most if the buyers fail to understand. Do you have the right staff or Skill? The first question that you need to get answers to is whether you have the right staff or skills to run the machine. This is a very important question since he milling business requires a lot of experience to do the right job. That is why it important to ensure that you have the right skills if you are the operator. Otherwise, you will definitely have a problem with the quality. Therefore, make sure that before going to the market, you have the right skills to handle machine. That’s how you get the most out of the machine. The work load is an important factor that you need to consider while going for road milling machine for sale. That is because it is the factor that determine the size of machine that you need. If you are a contractor working big projects such as building highways, that means you need a big road milling machines to handle the job. For small scale contractors working on pavements and repairs, you probably need the smaller models. 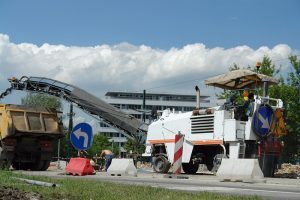 The application or the type of road milling determines the kind choice of cutter system. Make sure that you have the best quality cutter tools for the job if you want to deliver quality work. It is also essential to note that cutter system influences the rate of wear and of the machine. Last but not least is the comfort of the operator. Make sure that the road milling machine for sale improve the working conditions of the operator. Check the condition of the seat, the kind of steering and quality of the cabin.